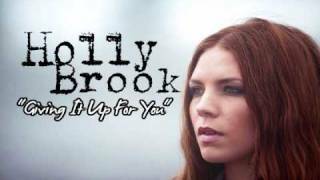 Holly Brook song lyrics, video, lyric-scroller, news and discussion for 'Giving It Up For You'. Holly Brook Giving It Up for You lyrics: Submit LyricsYour name will be printed as part of the credit when your lyric is approved. Skylar Grey performs in studio! !